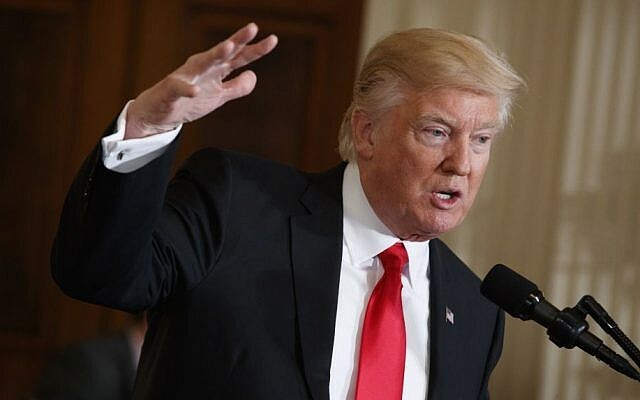 WASHINGTON (AP) — US President Donald Trump said Friday that his defense secretary’s opposition to torture would override his own belief that enhanced interrogation “does work,” addressing concerns about a return to Bush-era use of waterboarding and other especially harsh procedures. 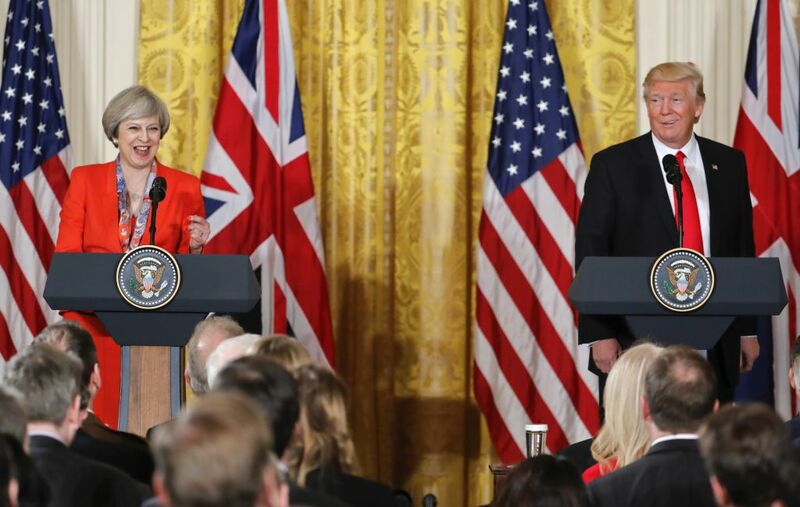 Trump, joined by British Prime Minister Theresa May at a White House news conference, also said he had had a “very good call” with Mexican President Enrique Pena Nieto earlier in the day but reaffirmed his belief that Mexico has “outnegotiated and beat us to a pulp” on trade — and that would change. Three issues — whether Trump would allow the use of torture, the US-Mexico relationship and the future of sanctions on Russia — dominated the new president’s brief news conference after his first meeting with another world leader. 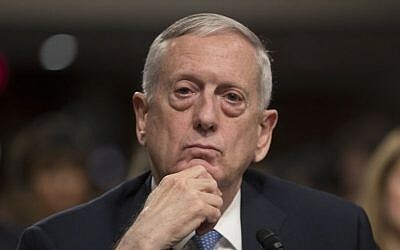 “He has stated publicly that he does not necessarily believe in torture or waterboarding, or however you want to define it. … I don’t necessarily agree. But I would tell you that he will override because I’m giving him that power. He’s an expert,” Trump said. 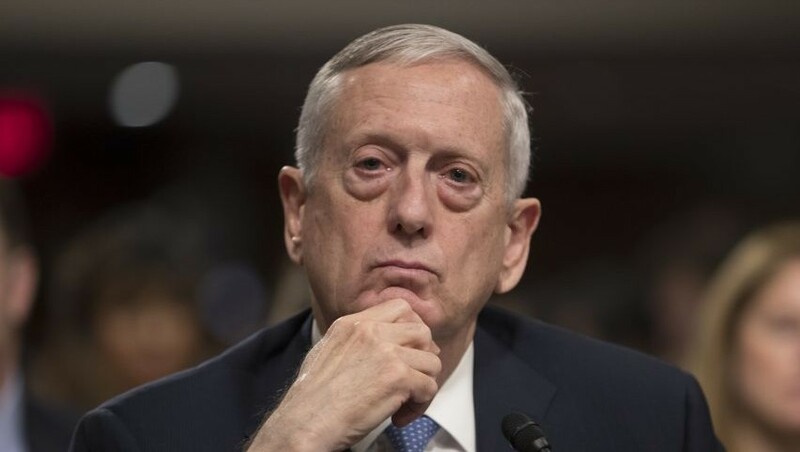 He called Mattis a “general’s general,” whom he would rely upon. The focus on torture has been renewed since The Associated Press and other news organizations obtained a copy of a draft executive order that signals sweeping changes to US interrogation and detention policy. The draft orders up recommendations on whether the US should reopen CIA detention facilities outside the United States. Critics said the clandestine sites have marred America’s image on the world stage. Trump also spoke of his hour-long phone call with Pena Nieto earlier in the day. He described it as a “friendly call” a day after the Mexican leader canceled his visit to Washington after Trump moved forward on his campaign promise to build a border wall. Trump reiterated his stance that the US-Mexico border is porous and drugs are making their way into the US. He also vowed to renegotiate American trade deals with Mexico. Following the cancellation, Trump’s spokesman said the White House would seek to pay for the border wall by slapping a 20 percent tax on all imports from Mexico, as well as on other countries the US has a trade deficit with. The White House later cast the proposal as just one option to pay for the wall. The strong reaction from Mexico signaled a remarkable souring of relations between Washington and one of its most important international partners just days into the new administration. The US and Mexico conduct some $1.6 billion a day in cross-border trade, and cooperate on everything from migration to drug enforcement to major environmental issues. Trump also appeared to withhold judgment on whether he would continue the sanctions that the Obama administration and the European Union slapped Moscow with for its annexation of Ukraine’s Crimean Peninsula and support for a pro-Russia insurgency in eastern Ukraine. Relations have changed over Ukraine, Putin’s backing of Syrian President Bashar Assad and allegations of Russian meddling in the US elections. May, meanwhile, said the United Kingdom supports the continuity of sanctions until the 2015 Minsk agreement on ending the conflict is fully implemented. Later in the day, Trump was to travel to the Pentagon, where he was expected to sign a trio of executive actions, including one to halve the flow of refugees into the United Sates and stop all entries from some majority-Muslim nations. 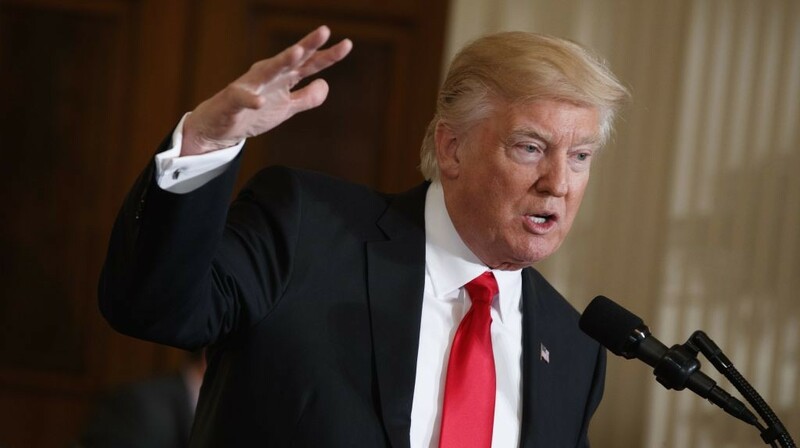 According to a draft of the refugee order obtained by The Associated Press, Trump would move to indefinitely stop accepting Syrian refugees. The order also calls for a pause in the nation’s broader refugee program for at least 120 days. Trump campaigned on a pledge to put in place “extreme vetting” procedures particularly for people coming to the US from countries with terrorism ties. According to the draft order, the president plans to suspend issuing visas for people from Iran, Iraq, Libya, Somalia, Sudan, Syria and Yemen for at least 30 days. Trump has the authority to determine how many refugees are accepted annually, and he can suspend the program at any time. Refugee processing was suspended in the immediate aftermath of the Sept. 11 attacks and restarted months later. Trump, according to the impending executive order, plans to cut that by more half to 50,000. The draft order says that while the program is suspended, the US may admit people on a case-by-case basis “when in the national interest” and the government will continue to process refugee requests from people claiming religious persecution, “provided that the religion … is a minority religion in the individual’s country.” That suggests it would allow the admission of Christians from Muslim-majority countries.